CCTV cameras across the Warwick district are set for an overhaul costing up to £1 million after the system was deemed to be at ‘critical risk’ of failing. The district’s 190 cameras are located in the town centres of Leamington, Warwick and Kenilworth and in all district council car parks. Other locations include certain parks and roads in Whitnash and Lillington. Warwick District Council’s executive agreed to upgrade its system at a meeting on Wednesday July 25. 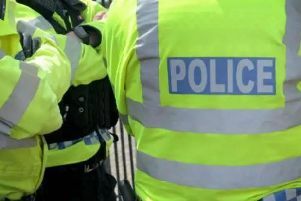 In a report sent to councillors before the meeting, officers highlighted crimes that the CCTV system had helped solve. The cameras had helped officers track down and arrest Vijay Masih, of Brook Road, Willenhall, who had punched and killed Robert Bavington outside Moo Bar in Russell Street in April 2016. He was sentenced to six years in prison. Another incident helped by CCTV was the conviction of Jamie Riddick, of Park Piece, Kineton. He picked up four passengers in his car while almost twice the drink drive limit, and crashed the car, killing three of them. Riddick denied driving the car, but CCTV footage proved otherwise and he was jailed for nine years. Councillors were also told of the increase in arrests thanks to CCTV year-on-year, rising from 400 in 2014/15 to 520 in 2016/17. But the report also stated the system was at a ‘critical risk’ of failing due to outdated cameras and software used to operate them. The cameras will now all be upgraded to ‘dome’ cameras which have better picture quality. And the cameras will be operated wirelessly, which the council says will save it around £51,000 a year. The total cost of the scheme is estimated to be between £800,000 and £1 million. The new CCTV control room will be in the council’s new HQ.